Specifically intended for fast and quick non operative drainage from thoracic and pleural cavity. 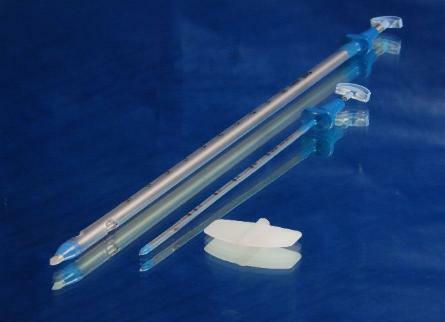 Provided with sharp Trocar needle for easy insertion of catheter. Made of medical grade PVC tube and medical grade Trocar materials. Rounded and smoothly finished two lateral eyes for efficient drainage. Provided with radio opaque line throughout catheter length. Graduated at 5 cm intervals to a certain accurate depth. Properly designed hands for easy maneuverability. Proximal end provided with tapered connector for easy connection to drainage container. Sterile double packed in individual Peel able pouch. Right angled tube - for drainage from depth of pleural cavity.